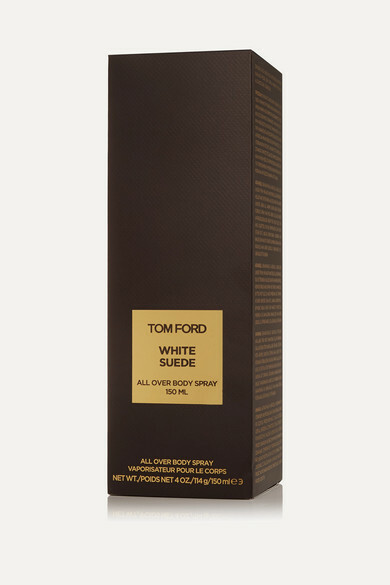 TOM FORD BEAUTY's aromatic 'White Suede' body spray opens with notes of Saffron, Thyme and Musk, unfurling to warm hints of Rose and Amber. The sleek can is designed with 360° spray technology, meaning it can be effortlessly applied from all angles to your arms, neck, legs or torso. It's a refreshing and cool way to wear your scent.